Characters from a cartoon? Or a movie? 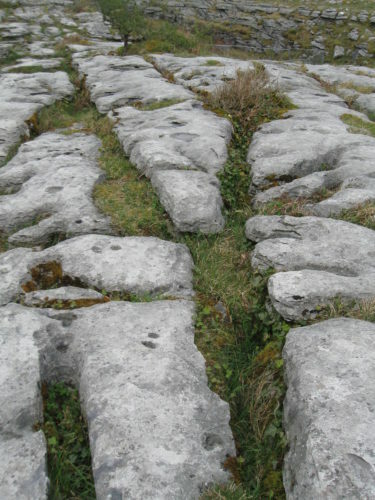 Features of a limestone pavement. 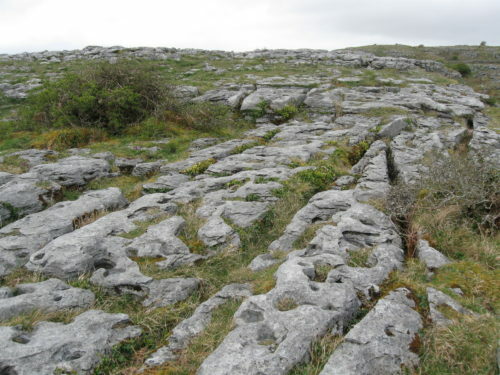 This is a limestone pavement. Clints are the blocks and grikes (or grykes) are the gaps between. Looks a bit like pavement doesn’t it? 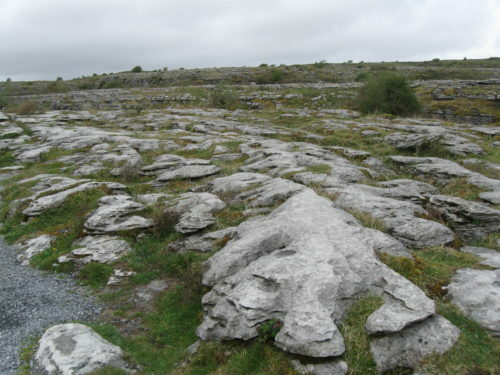 For an area of rocks, it has a pretty even surface, but the clints have irregular shapes. 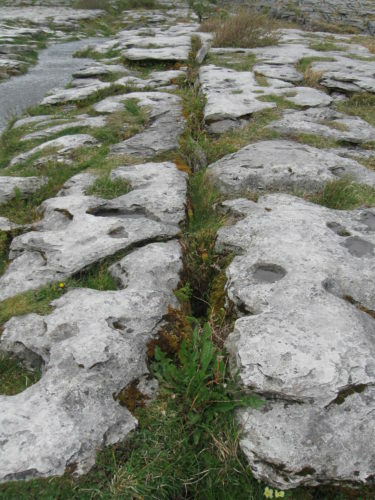 Their shapes are controlled by the grikes, which have formed by enlarging what were originally just cracks in the rock. Rainfall is naturally slightly acidic and acidic water is able to dissolve limestone. When it rains, the water tends to flow down the cracks. The rock at the crack dissolves and the crack gets wider and deeper – so more water can get in, more rock dissolves, crack gets even bigger etc. At some point you can’t call it a crack any more – it’s a grike! With a rock that dissolves, you don’t get much soil, so the clints remain bare, but plants do grow in the grikes. 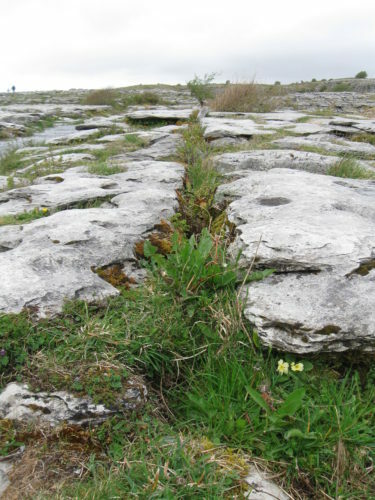 The plants tend to prevent you seeing how deep the grikes actually are so, if you take a walk on limestone pavement, I recommend clint hopping! Tread carefully.